Marouane Fellaini's Chinese Super League campaign was off to a dream start as he netted the winner in his debut for Shandong Luneng Taishan. The winter transfer window has closed just ahead of the new 2019 Chinese Super League season, and ESPN FC has the lowdown on the big moves. 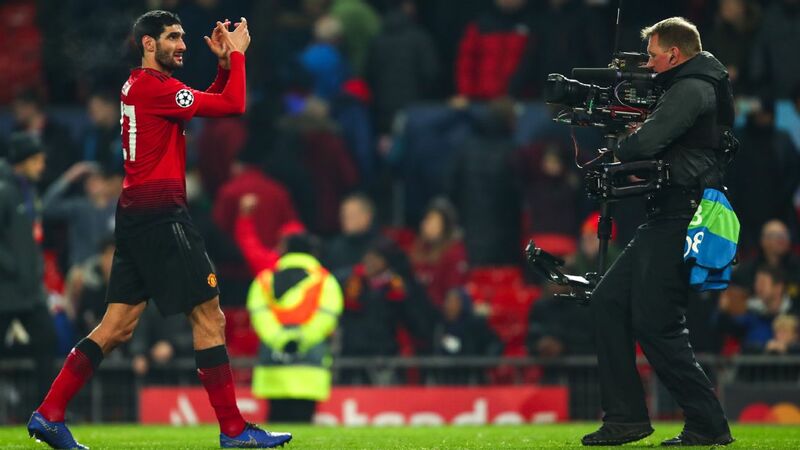 Marouane Fellaini may have split the opinions of Manchester United fans since signing for the European giants in 2013, but most would probably be surprised to see the midfielder arrive in China in the past few weeks. The Belgian has left Manchester for the eastern industrial city of Jinan to join Shandong Luneng for an undisclosed fee said to be around €12 million. Shandong were the last team to win the Chinese title in 2010 before the major spending started in the country. The club, which has hired coaches such as Henk Ten Cate, Mano Menezes and Felix Magath since their title win, believes that the ex-Everton star can link up with former Italian international Graziano Pelle and provide the goals to take Shandong back to the top. Going in the opposite direction are Diego Tardelli and Papiss Cisse. Fellaini is not the only Belgian international who left the Premier League in order for a new challenge in China. Mousa Dembele said goodbye to Tottenham Hotspur after more than six years in North London to arrive in southern China. Now with Guangzhou R&F, very much "the other club" in the city in the shadow of Guangzhou Evergrande, his job will be to provide for the prolific Israeli striker Eran Zahavi. It wasn't that long ago that Tianjin Teda were challenging for titles, but relegation scraps have been more common of late. Coach Uli Stielike has brought in German international striker Sandro Wagner for around €5m from Bayern Munich. The top two from last season did not splash much cash. Indeed, champions Shanghai SIPG lost their, and the league's, top scorer as Wu Lei headed to Spain to join Espanyol. Shanghai's triumph ended seven straight titles for Guangzhou Evergrande. The Southern China Tigers want to move towards an all-Chinese team, hopefully by some point in 2020, and have unilaterally declared that they will field just two foreign players at a time this season and they have said goodbye to Ricardo Goulart and Jackson Martinez. Marouane Fellaini left Manchester United for Shandong Luneng. Dalian Yifang have never come close to the big prize with just five seasons in the top flight in their history, but the northeasterners have made a statement with the €20m signing of Slovakian and Napoli legend Marek Hamsik. He will link up with Belgian international Yannick Carrasco and Ghanaian star Emmanuel Boateng, signed from Levante in Spain. The arrivals meant that former Argentine international Nicolas Gaitan departed to Chicago Fire on the last day of the window. New boys Wuhan Zall have strengthened with Cameroonian international Stephane Mbia from Toulouse. The most significant signings made, however, were not the most expensive. Beijing Guoan were linked with a big-money move for West Ham's Marko Arnautovic. That always looked unlikely, but the Green Lions did head to London to strengthen their squad. Nico Yennaris joined from Brentford in England's second tier and then Norway's John Hou Saeter signed. What is striking about the pair is that they both have Chinese mothers and they have both just become Chinese citizens. This means they can take their place in Beijing's lineup as local players and not take up two of the three foreign player slots that each club is allowed. They could also appear for the national team in the future. If the move is successful, other clubs are likely to follow suit and look at China's diaspora.